‘Aurunculeia is surely the nicest elephant in fiction outside Kipling. Escapes are as hairbreadth, escapades as hair-raising as ever.’ – Punch, July 1935. Rejected a total of 111 times over a period of nine years before the LSU finally agreed to publish it. During this time Burke was not able to get any other novel published and apparently this many rejections is still still a publishing industry record. It was subsequently nominated for the Pulitzer Prize for fiction. The Lost Get-Back Boogie is the story of Iry Paret, a young blues musician who moves to Montana following his release from a Louisiana prison and becomes involved in a family's struggle against a company that is polluting the local river, and with the estranged wife of his best friend. 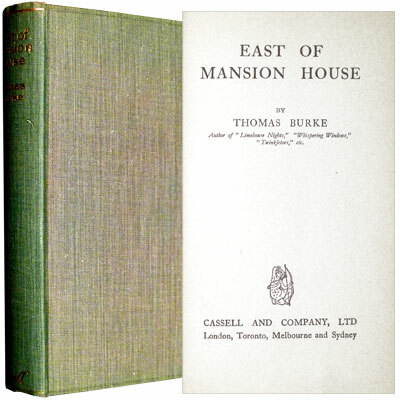 A superb copy of this collection of short stories, with fine provenance, not only signed by ‘Barnaby Ross’ and ‘Ellery Queen’, but described by them in Queen’s Quorum as a work of high literary art’, ‘the tales of subtle murder and Oriental passion’, which ‘became a classic overnight.’ Housed in a custom made leather slipcase and cloth chemise. ‘A London native, Burke knew the city intimately and brought it to life in essays, mood pieces, and short stories, most of which had a melodramatic atmosphere of crime. His first and best crime book was Limehouse Nights (1916), a series of violent tales that rely on authentic background and Oriental flavour for their readability. Subtle passion and sinister murders abound.’ – Stenbrunner & Penzler. ‘A London native, Burke knew the city intimately and brought it to life in essays, mood pieces, and short stories, most of which had a melodramatic atmosphere of crime.’ – Stenbrunner & Penzler. ‘In High Sierra, Burnett, one of the most influential of the ‘Hard-Boiled’ crime writers, changed the typical characterisation of the gangster story from the aggressive, ambitious figure characterisation of the 1930’s to the ageing Roy Earle, a gangster well past his prime. A sense of fatalism pervades the story, and Burnett and John Huston scripted a film version for Warner Bros, which was released in 1941 with Humphrey Bogart as Earle.’ – Encyclopedia of Film Noir. Housed in custom cloth slipcase. 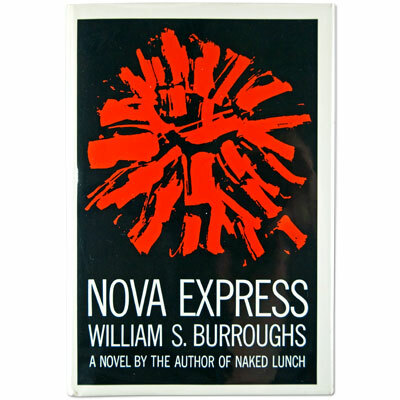 Burroughs ferociously political and prophetic novel – a parody of bureaucracy and human frailty, and the third in his linguistically ‘cut-up’ trilogy, following The Soft Machine and The Ticket That Exploded –fires the reader into the diabolical world of the Nova Mob, poised to wreak havoc and destruction upon the planet. Can Inspector J. Lee of the Nova Police stop them before its too late…? 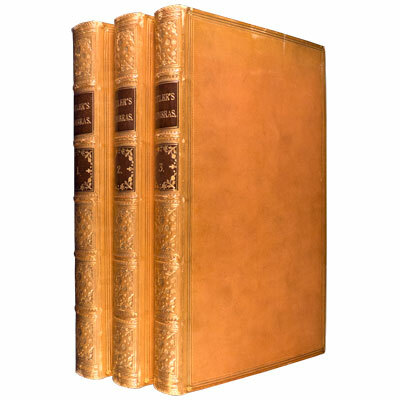 Three volumes finely bound in early 20th century full tan calf. In addition to Butler’s ‘satirical polemic upon Roundheads, Puritans, Presbyterians and many of the other factions involved in the English Civil War’, this edition includes ‘The Author’s Life’ and an extensive introductory preface, combined with Zachary Grey’s details annotations throughout. Illustrated with numerous woodcut vignettes and eight plates. A near fine first edition, in the original pictorial cloth, and illustrated with twenty full page black and white plates. 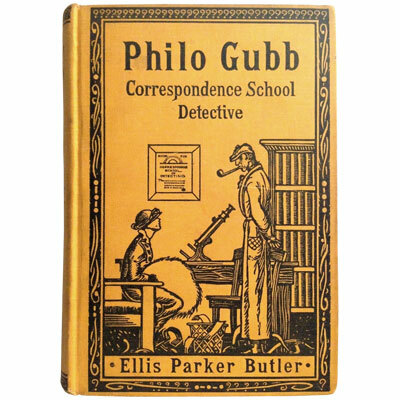 A small town good-natured wallpaper hanger, with a fascination for Sherlock Holmes, Philo Gubb’s office also contains a framed diploma from the Rising Sun Detective Agency’s Correspondence School. Gubb commits a slight case of murder on the King’s English every time he talks, but manages to solve crimes despite his talent for interpreting clues incorrectly and his flair for sporting mail-order disguises that inevitably fail to mask his purposes.